The CROSSROCK is a lightweight travel-wing suitable for every day. 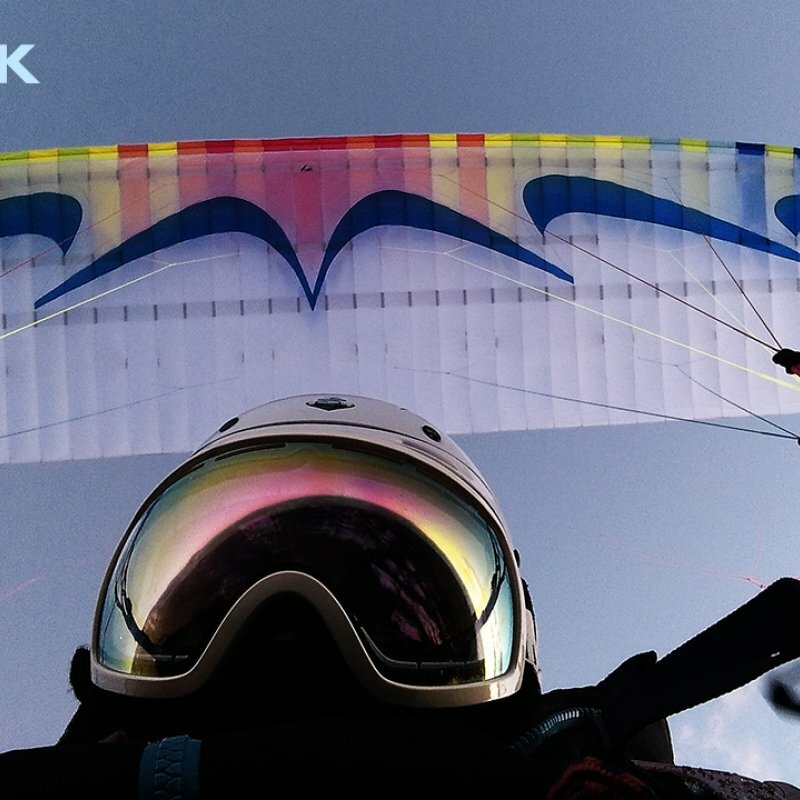 It combines small pack volume with performance-oriented flight calmness. 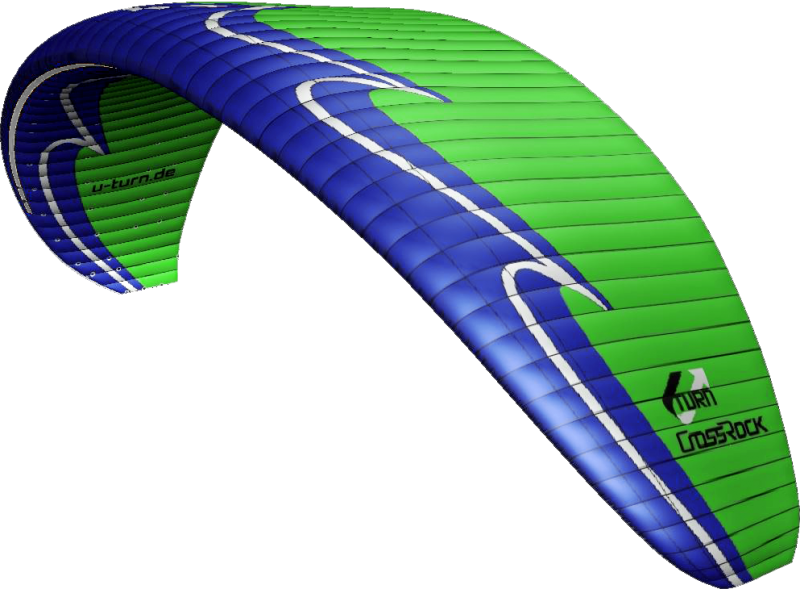 A hybrid of lightweight and everyday-glider, that offers high comfort even on extensive routes. The CROSSROCK is hungry for far destinations and pulls towards the cloudbase even in weak thermal conditions. Thereby the smooth glider slices through turbulent airmass and is hardly knocked off course. Despite its low canopy weight the CROSSROCK lies heavy in the air and light in hand. Control pulses are translated accordingly precisely and the wing is easily rotated into the thermal lift. 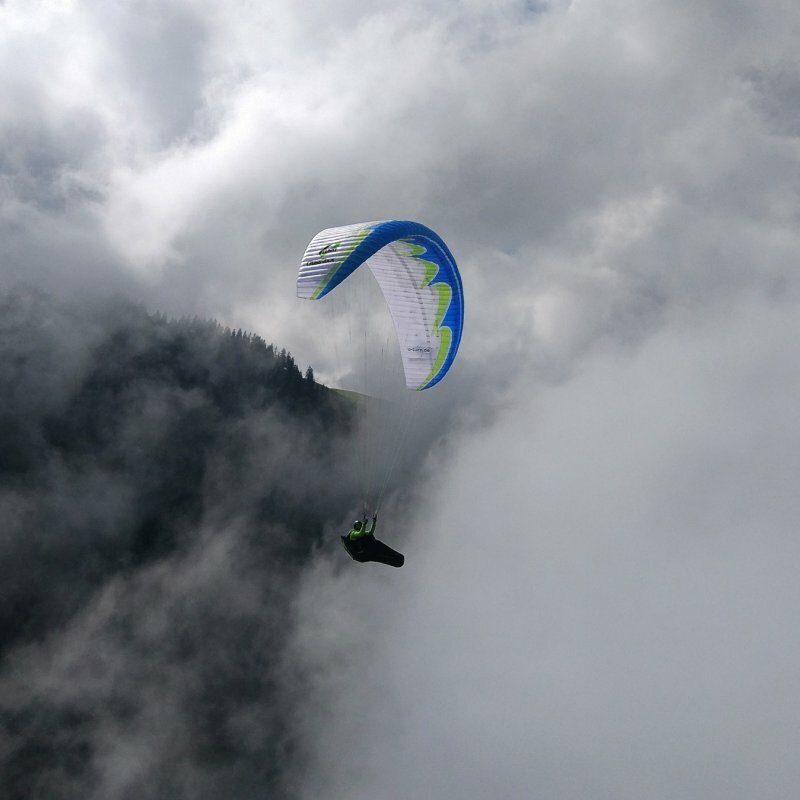 The performance-oriented lightweight glider is aimed at pilots who desire light luggage and small pack size for every­day flights on the XC route. Whether it is flying in the reliable thermal spots, travelling to remote places or on the mountain, the CROSSROCK is built for the trying use in everyday life. The mid-B wing offers maximum safety reserves through damped reactions besides its outstanding rise features. Finally the good feeling is what ensures the lasting comfort on long routes. At the high performance capability and the sweet-tempered features the constructional proximity to the BLACKLIGHT 2 is clearly discernible. The CROSSROCK is aimed at all pilots who want to rock kilometers with light luggage. 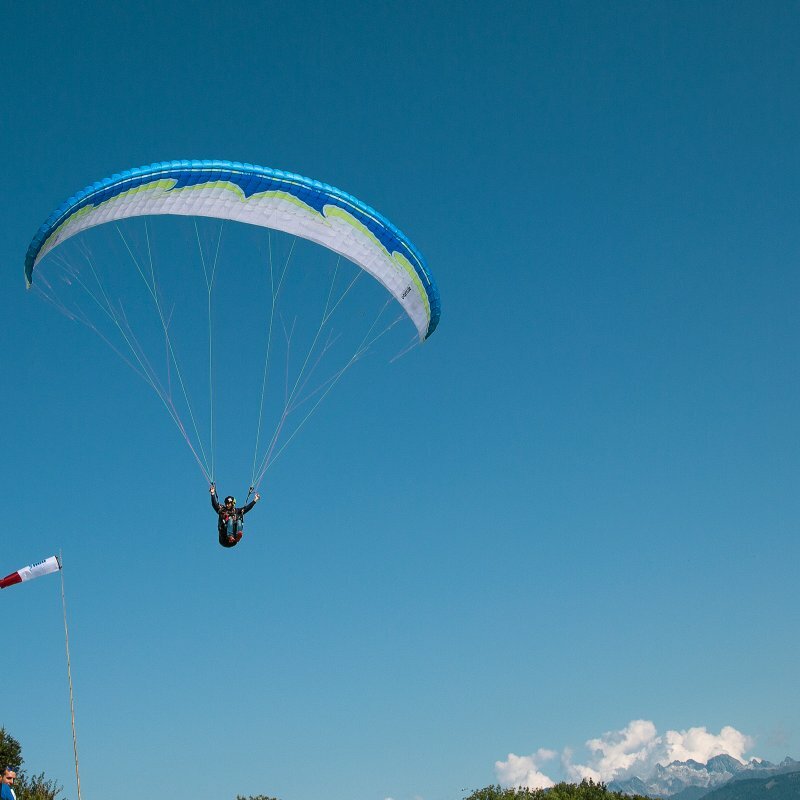 Thereby the glider offers high performance potential with high safety reserves which even ambitioned pilots will like. elaborate calculations. 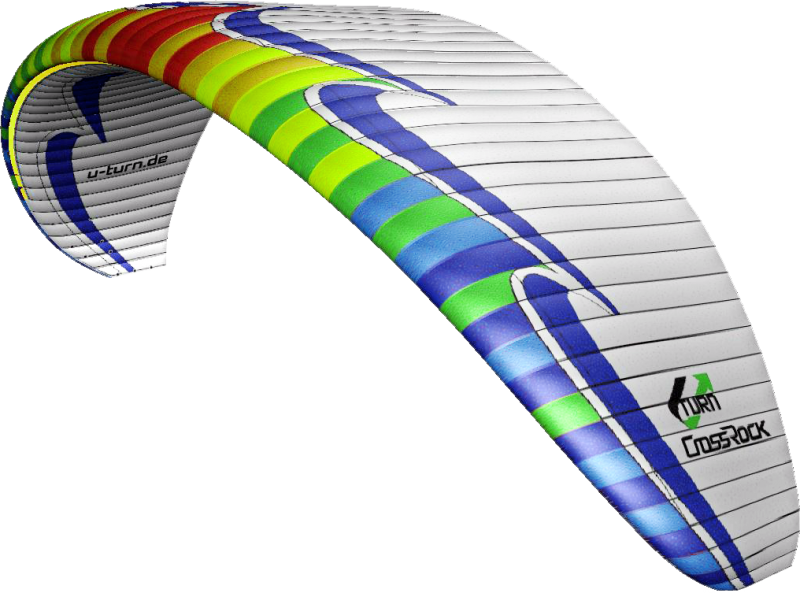 The High Pressure Crossport Design (HPCD) optimizes the lateral aeration of the crossports and provides a balanced internal pressure of the wing. The line-set-up with three main lines is very straight-forward. Here the newest generation of PPSLS lines are being used, which ensure extremely high loads with minimal diameter. reaction-behavior. The used materials Skytex 32 and Skytex 27 have double coating and are superior to heavy materials because of the little weight. The materials were tested under harsh criteria for long-term durability. 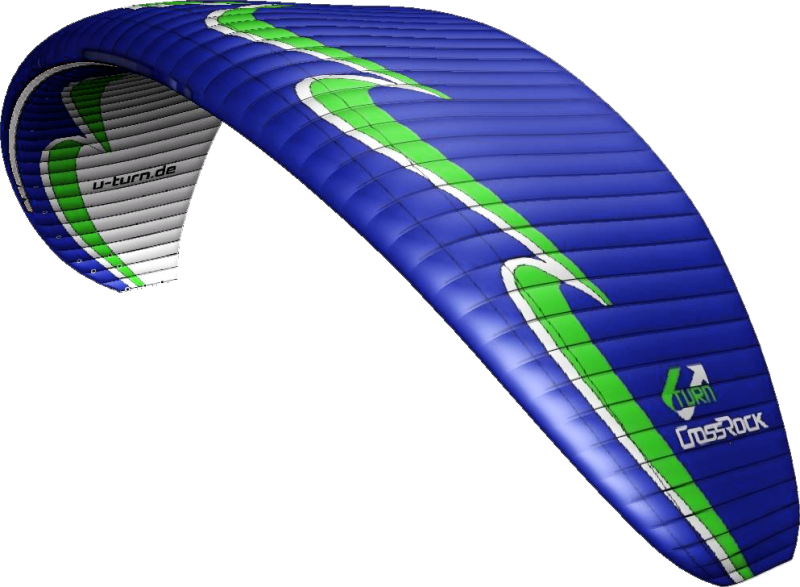 The glider is available in three attractive color schemes and in four sizes from XS (55 - 80 kg) to L (95 - 120 kg). Let‘s rock! Arrange a test flight and see for yourself!